The e-commerce platform will host 36 hours of Exclusive Launches, deals, Blockbuster Video Titles and more. during Amazon Prime Day sale. Amazon has announced its Prime Day Sale, which will commence at 12 PM on July 16. The online retailer says it will exclusively launch over 200 new products with brands like OnePlus, Nestlé NesPlus, Marks & Spencer, Bosch, HP, Acer, GAP, Asics and more. Its own devices like Fire TV Stick, All New Kindle, Kindle Oasis and Kindle Paperwhite will also be available for purchase on a discounted rate. The online retailer will also commence its two-hour delivery service with the sale for Prime members in Bengaluru, Delhi NCR, Mumbai and Hyderabad on the Prime Now app. Those using an HDFC bank debit and credit card will get 10 percent instant discount. There will also be a 10 percent cashback on Amazon Pay balance and exchange offers on mobile phones, along with a no-cost EMI on over 8000 products. 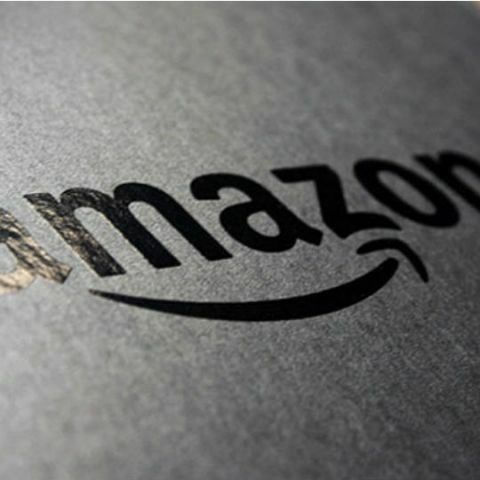 Amazon’s highly anticipated Prime Day event is back on July 16 starting at 12 noon IST and running through midnight on July 17. Now in its second year in India, Prime Day will be bigger than last year with 36-hours of shopping & entertainment. Building on the success of new product launches last year, Prime Day this year will feature over 200 exclusive new product launches from top brands, small businesses & Indian startups, all available first exclusively to Prime members. Alongside the new launches will be thousands of deals on Mobiles, TVs, Laptops, Appliances, Fashion and Everyday Essentials at the lowest prices of the year. Amazon Echo family of devices, Fire TV Stick, All New Kindle, Kindle Oasis and Kindle Paperwhite will be available at the lowest prices of the year. For the first time on Prime Day, members can shop from hundreds of deals from Amazon’s international selection. Prime Day celebrations start early on Prime Video with 7 blockbuster titles launching over 7 days starting July 10 including Raazi, 102 Not Out, Dunkirk, Transformers: The Last Night, Angreszi Mein Kehte Hain, Officer (Telugu) and the launch of Prime Original show, Comicstaan, a reality TV show to find India's next stand-up comedy star. Amazon Prime Music is launching specially curated playlists in several Indian languages including Hindi, Tamil, Telugu, Punjabi, Malayalam, Gujarati, Rajasthani, Bengali and two new languages Assamese & Odia. Starting July 3 through Prime Day, Prime members who play three songs from the millions of songs on Amazon Prime Music stand a chance to win two Echo Dots every day. To learn more about Prime Day and all the offers for members visit amazon.in/primeday. Prime Day is Amazon's flagship event that is celebrated by more than 100 million Prime members in 17 countries including India. Not a member yet? Customers can now join Prime for ₹129/month at amazon.in/prime to enjoy Prime benefits such as free & fast delivery, unlimited video, ad-free music, exclusive deals and more. "We were humbled by the fantastic response to our first Prime Day last year and are delighted to bring it back for Prime members in India. Prime members in India can enjoy over 200 exclusive product launches, thousands of deals at the lowest prices of the year and blockbuster entertainment launches on Prime Video and Amazon Prime Music" said, Amit Agarwal, SVP & Country Manager, Amazon India. "Members in Bengaluru, Delhi NCR, Mumbai and Hyderabad can enjoy ultra-fast delivery in 2-hours on popular deals and launches on the Prime Now app. For the first time, customers across several cities in India can experience new products & entertainment specials launching on Prime Day in Virtual Reality. More than 100 million Prime members around the world, including India, will find this our best Prime Day celebration yet." Prime members will be the first to shop, laugh & listen with shopping and entertainment delights on Prime Day and the lead up to Prime Day. Shop with Small & Medium-Sized Businesses – Prime members will get access to exclusive launches by small businesses such as brass idols by Two Moustaches, accessories by Pipa Bella, kids’ toys by Toyshine and musical instruments by SG Musical. For the first time, Prime members will be able to exclusively shop for new handicraft products such as Kalamkari Ikat, Pochampally & Banarasi Sarees, handcrafted Kutch embroidery products, Ajrakh hand-block printed apparels and even tribal paintings & jewelry. Prime members can begin celebrating Prime Day early with exclusive blockbuster entertainment launches from Prime Video and Amazon Prime Music beginning today. Listen to New Playlists on Prime Music; Win Echo Dots – Prime members can enjoy specially curated playlists in several Indian languages including Hindi, Tamil, Telugu, Punjabi, Malayalam, Gujarati, Rajasthani, Bengali and two new languages Assamese & Odia. Starting July 3 through Prime Day, Prime members who play three songs from the millions of songs on Amazon Prime Music stand a chance to win an Echo Dot every day with two winners announced daily. Online shoppers no longer need to be content with only seeing images before buying. For the first time, customers will be able to experience the new products launching on Prime Day in Virtual Reality (VR) before buying. VR brings alive exclusive products in an environment that customers are likely to use it in, for example customers can see a dress modelled in 3-dimension, open a microwave placed on the kitchen countertop to look inside, and more. Customers can also catch a glimpse of Prime Video’s blockbuster content launching for Prime Day. This VR experience is open to all customers with preferential access to Prime members at select malls in Mumbai, Delhi NCR, Kolkata, Chennai and Bengaluru. Prime is designed to make your life better every single day. Over 100 million Prime members around the world enjoy the many benefits of Prime. In India, this includes unlimited access to award-winning movies and TV episodes with Prime Video; unlimited access to Prime Music, early access to select Lightning Deals and more. Members in Delhi NCR, Bengaluru, Hyderabad and Mumbai can enjoy ultra-fast 2-hour delivery on Amazon devices, consumer electronics and everyday essentials on the Prime Now app. Log on to www.amazon.in/prime and become a Prime member today.